We see a lot of data analytics businesses using AWS, and other tech giant cloud services such as Google Cloud, as a key facilitator for doing AI on the massive datasets that come back from satellites and other aerial platforms such as high altitude pseudo satellites (HAPS) and drones. Leveraging the investments that large, incumbent tech firms have already made into the classic ‘picks and shovels’ segments of the space market (e.g. storage and processing, and launch) makes a lot of sense for new space start-ups to take advantage of (at a price of course!). Recent news that Amazon will be building its own ground station network (aptly named ‘AWS Ground Station’), in collaboration with US defence company Lockheed Martin who is supplying the distributed antennas, comes as somewhat of a surprise....but then again why should it! Turning ground stations into smart data storage hubs and processing centres at the edge is just another layer of infrastructure that start-ups can leverage and build on top of. AWS will co-locate their ground stations with their data centres. This is encouraging for those new constellations looking to reduce the ground segment cost of owning antennas and ground stations to downlink, store, process and analyse all that data they are capturing from their assets in space. Initial customers of AWS Ground Station include, according to Space News, remote sensing satellite operators such as DigitalGlobe, BlackSky, Spire (one of our portfolio companies), Capella Space, Open Cosmos and HawkEye 360. A big industry name as well as venture backed businesses in that initial list. 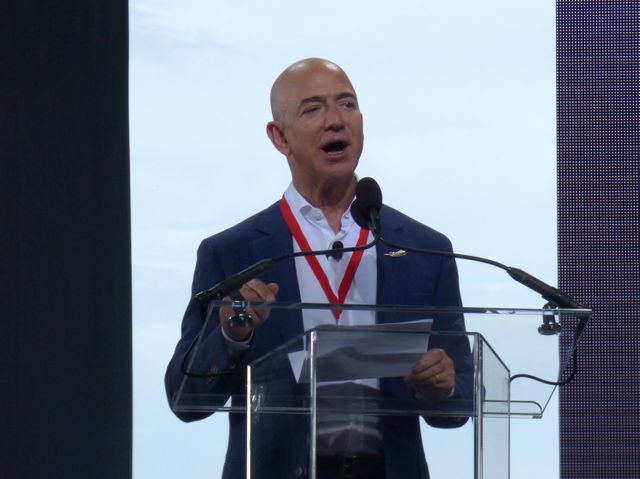 It also gives a bit of an insight into the way that Amazon is investing in the space sector and sees it as important to the future growth of its cloud services business. I’m sure others take a more skeptical viewpoint on this in terms of competition in this segment. But you can’t disagree that this is an interesting development that we are keeping a close eye on as the world’s first and largest venture capital fund dedicated to the space sector.